I can't believe we are on the very ruffling tutorial already! We made it! Today we are going to learn to do the Scrunch 'n' Sew (or Scrunch for short). To be honest, the Scrunch Method is the one that I use the least out all the ones we've covered. That being said, it a great tool to have in your back pocket when working with tulle, chiffon or other sheer fabrics. Learn more after the break! Although I almost exclusively use this method on sheer fabrics, I'm demonstrating on a strip of cotton for the tutorial. 1. If you are ruffling only along the seam allowance, make sure that there is at least about half an inch between the edge of the fabric and either side of the presser foot. 2. Now scrunch the fabric as it feeds under the presser foot. I find it easier to use both hands. 3. Keep going until you are at the end of the strip. It takes a bit of practice to scrunch evenly. It helps to go slowly until you feel more confident. Unlike the other methods, these ruffles are stitched down and won't shift. 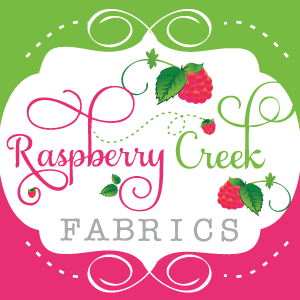 In fact, you can stitch these ruffles direction onto another piece of fabric in one step! You can create voluminous ruffles quickly with this method. If you look at my sample, you can see that the ruffles aren't very even at all. (and I was really careful!) The good news is that these errors would be less noticeable with a sheer fabric. Choose this method for very sheer fabric where you want to minimize the amount of stitching that shows through the fabric. Or when there is so much to ruffle that another method isn't feasible. 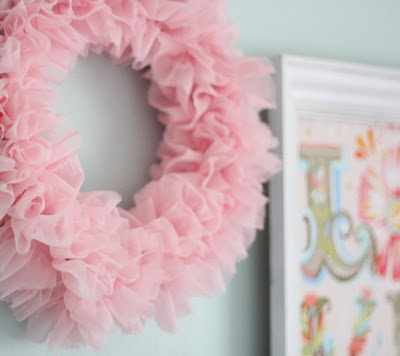 This beautiful wreath from Cluck Cluck Sew is a great way to try this out for the first time since you finish by glue the ruffles. You can also use this method to make cute little ruffle dresses like this one from Little Pink Monster. Stop on by tomorrow for our Rufflicious week wrap up! Wow! I used to use this method a lot earlier but haven't done that in a while. It is pretty useful in some circumstances as you mention. Now I have to go check out the earlier tuts in the series. Maybe it's because I don't practice with my machine enough being a novice but I find it easier to or learn to do these kind of things on hand. I did sew a scarf on the machine today though. I like the zigzag stitch.